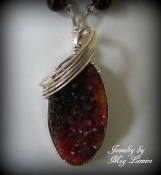 This amazing druzy focal gemstone is so dramatic with its crystals the colors of deep browns and black. Sparkles any which way you look at it. Focal is enhanced with a sterling silver swoop like design. 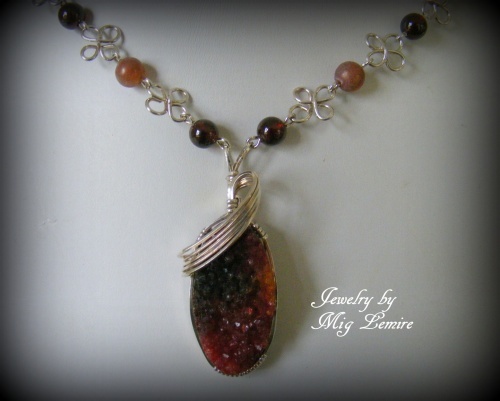 The beaded chain has matching mahogany agate beads and onyx beads. Measures 18" long.